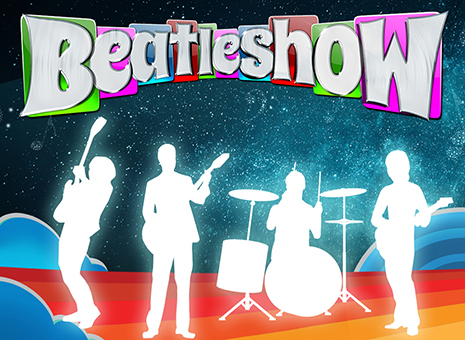 BeatleShow! is as close as you can get to a real Beatles concert. Here is a short bio of some of the best Beatle performers in the world the Beatleshow has brought together. Steve Craig as John Lennon is considered to be one of the most talented Beatles tribute performers in the world, not only for his musical abilities but also for his striking resemblance to John Lennon. Glenn McCallum as George Harrison comes all the way from Sydney, Australia. Arguably one of the best guitarists to ever play George Harrison, Glenn has performed with some of the world’s best Beatles performers. Tony Felicetta as Ringo Starr is a native Californian. His talent, bright smile and outgoing personality have earned him numerous roles in film, television and now as a performer in Beatleshow. Andrew Hill as Paul McCartney has been performing all over the world in Beatles tribute shows as well as other 60s productions. Being a natural “leftie” and possessing a great love of Beatles music has enabled Andrew to travel the world.